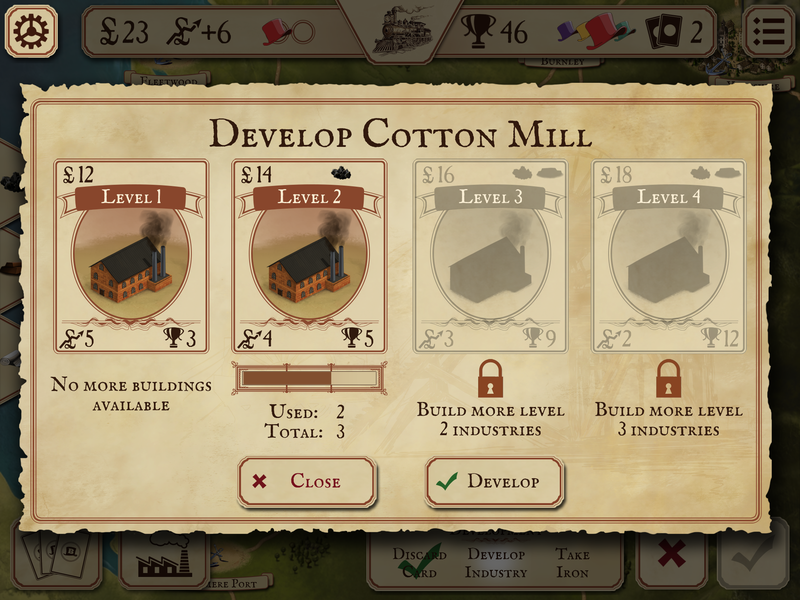 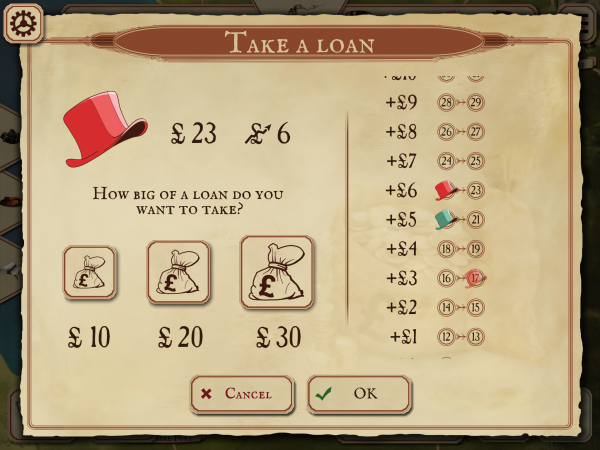 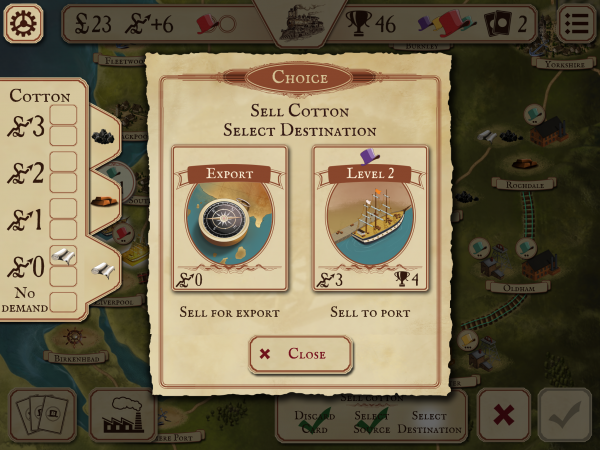 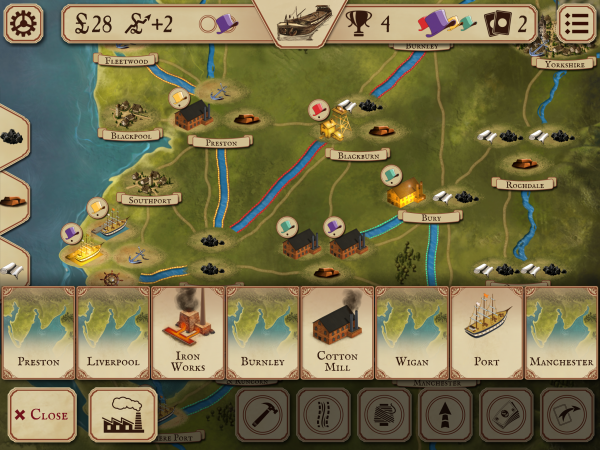 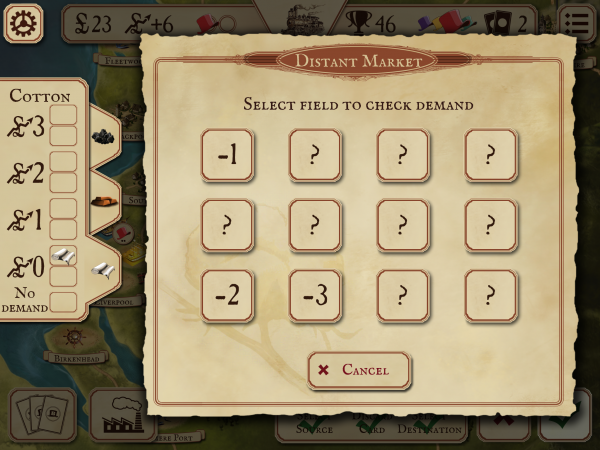 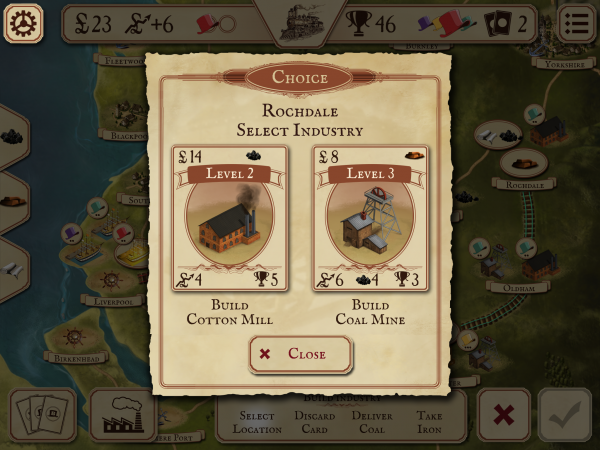 Brass is an economic game that places you and your opponents at the crossroads of history and the dawn of the British Industrial Revolution. 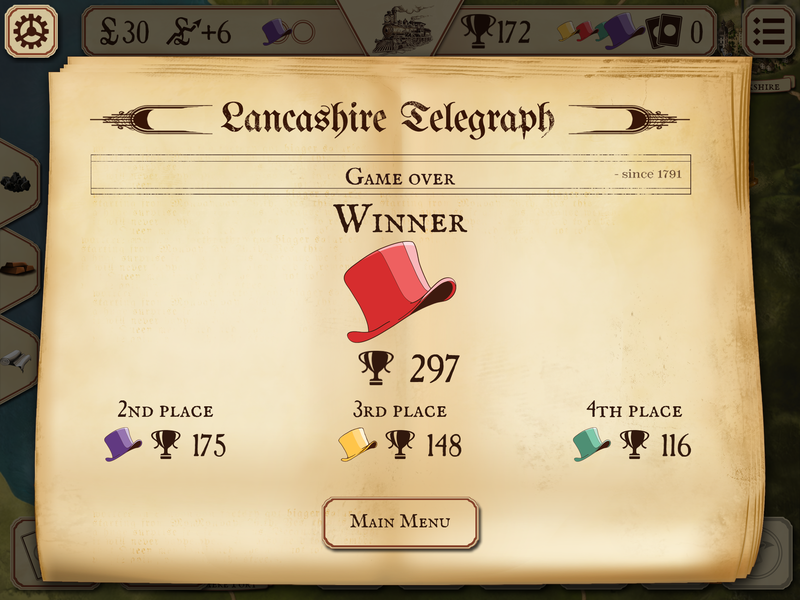 Your mission is to take down up to 3 challengers by creating a superior economy in the northern city of Lancashire. You’ll invent technologies for the the cotton, coal, steel and construction industries and you need strategy, skill and a keen sense of timing to come out on top. 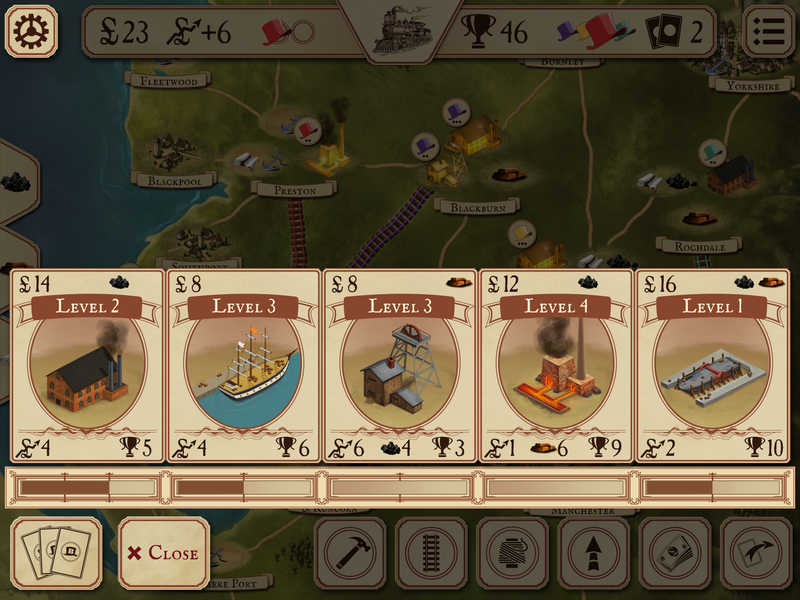 Brass is already a much beloved board game so the logical next step was to take it mobile. Now you can play Brass on your own timetable and on the move, either in real time or at a more leisurely pace. 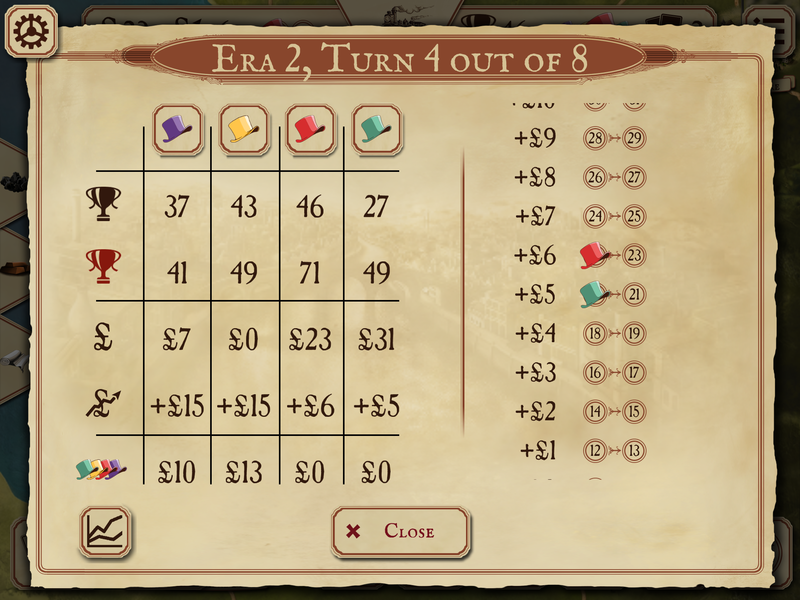 The Brass user interface gives the board game graphics a complete facelift, which modernized the tabletop design while retaining the absolute authenticity of the time period. 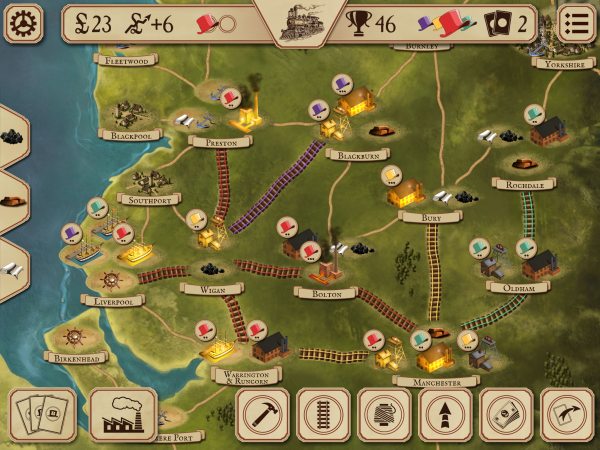 Brass was developed for over one and half year.